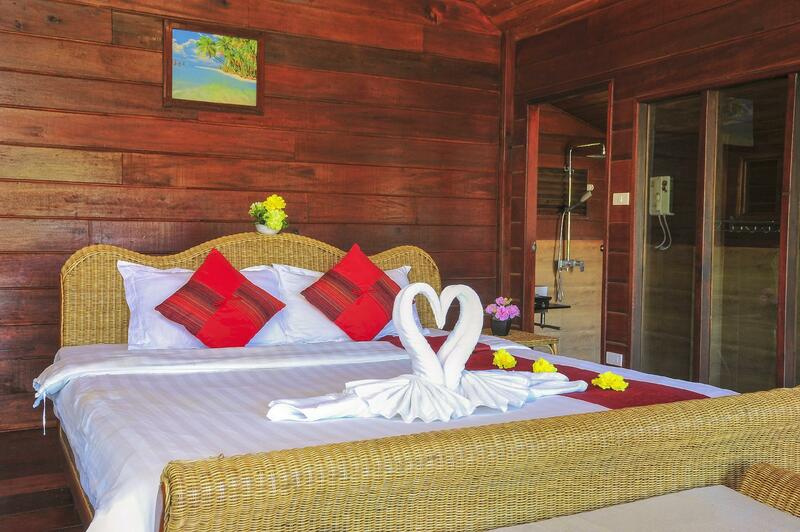 ﻿ Anda Resort, Koh Lipe | FROM $93 - SAVE ON AGODA! 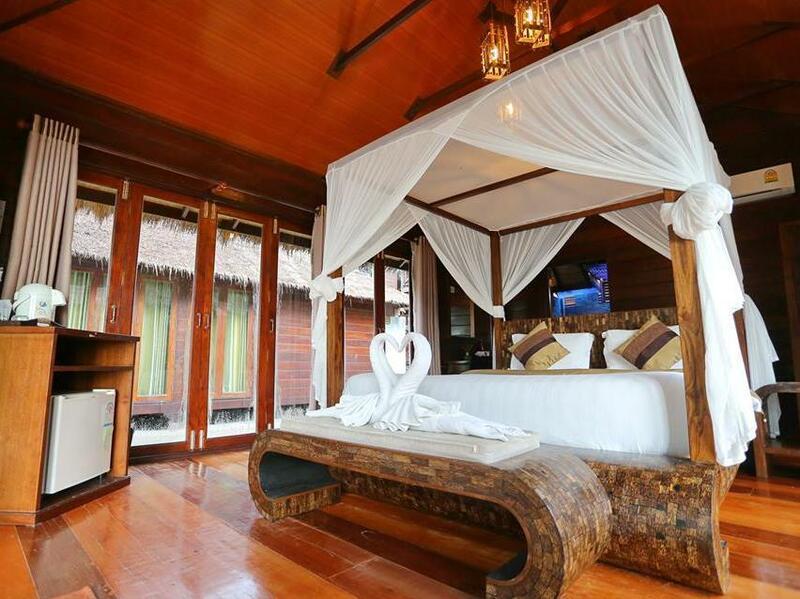 Have a question for Anda Resort? "Very nice location directly on the beach." 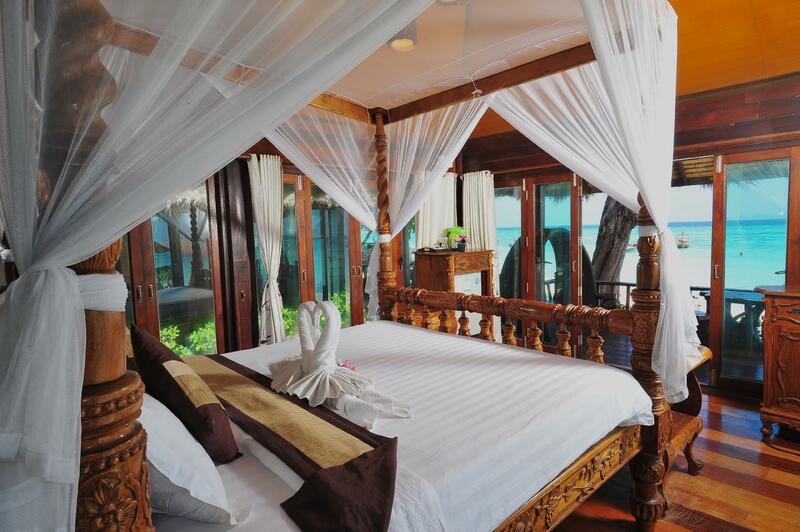 "Staff were very friendly, food was lovely"
If what you're looking for is a conveniently located hotel in Koh Lipe, look no further than Anda Resort. From here, guests can enjoy easy access to all that the lively city has to offer. 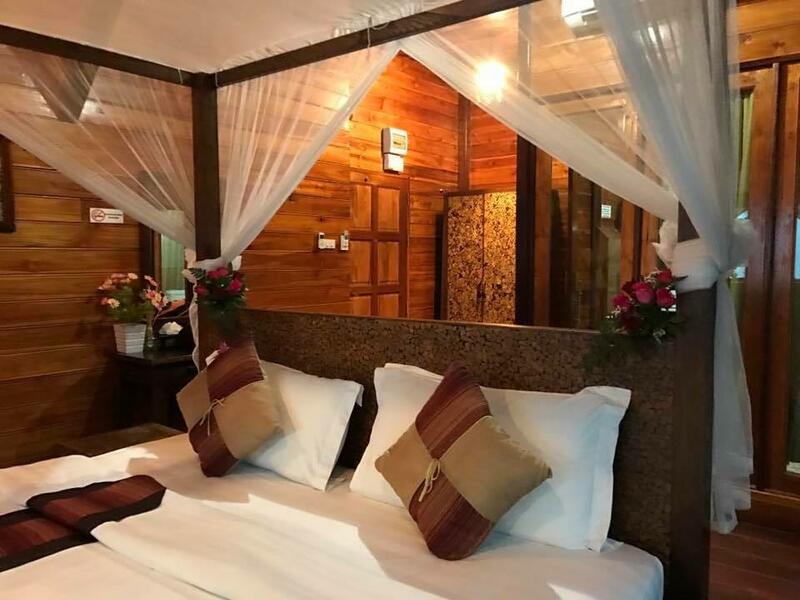 For sightseeing options and local attractions, one need not look far as the hotel enjoys close proximity to Ko Lipe, Sunrise Beach, Walking Street. Offering hotel guests superior services and a broad range of amenities, Anda Resort is committed to ensuring that your stay is as comfortable as possible. Top features of the hotel include free Wi-Fi in all rooms, daily housekeeping, Wi-Fi in public areas, airport transfer, babysitting. 110 rooms spread over 2 floors provide a warm and pleasant home away from home. Modern comforts such as television LCD/plasma screen, towels, internet access – wireless, internet access – wireless (complimentary), non smoking rooms can be found in selected rooms. The hotel's recreational facilities, which include outdoor pool, fishing, massage, water sports (non-motorized) are designed for escape and relaxation. 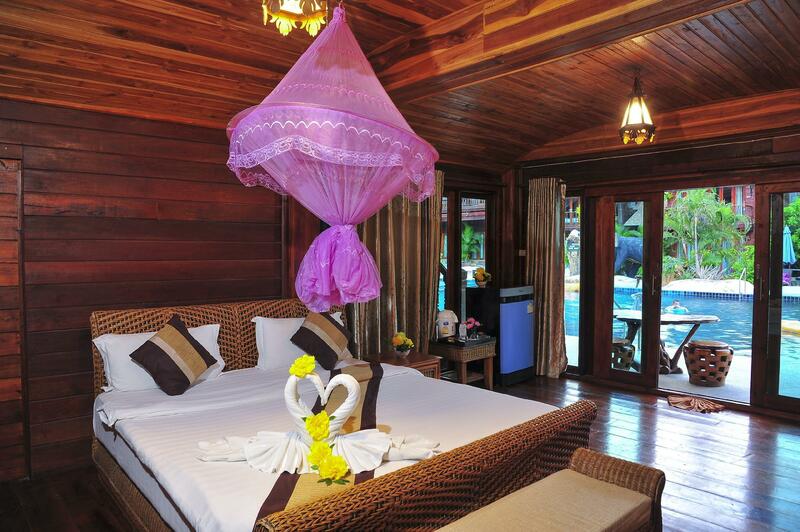 Superb facilities and an excellent location make the Anda Resort the perfect base from which to enjoy your stay in Koh Lipe. "Breakfast was mediocre at best." The hotel provides a la carte or buffet breakfast daily depends on numbers of guest of that day. The hotel offers transfer service at no additional charge from/to the hotel and the port on check in and check out date. Please contact the hotel for more information. Children 5-9 years old will be charged THB 300 for breakfast per day. We went in the peak season. Rooms are expensive but what do you expect. Friendly staff, good breakfast. We stayed in a standard room which is right at the back where the generator is. Overall, pleasant stay. This is our 3rd time on the island, and 3rd time as well on Anda Resort. Amazing location, nice staff, and the basic amenities is always on point! Will go back to Anda Resort for sure! Pretty wooden style resort with big pool right on the beach where the best snorkeling on the island is. We had deluxe beachfront bungalow "Wow' what a view to look out to every day with its own bit of decking to sit on.Looked just as good as the photos we were drooling over on the website before we came! We came as a larger group and were disappointed by this hotel. 1) The pictures make it look much better than it is. The bathrooms are dirty and poorly constructed as is most everything here. It's very dark and uninviting inside the rooms. 2) The noise and smell are even worse. Diesel fumes can be quite strong at night. Generator hum is evident all night long. This from the rooms and the pool. 3) Breakfast is completely unacceptable at this price point. It felt like a cheap cafeteria with powdered "juices" and the cheapest sliced white bread that can be bought. 4) Staff were overall looking at guests as $$$. Will try and charge where they can unless you fight back, negotiate etc. Even when taking canoes we were warned a minute over would result in a full hour fee. When a party of 12 has booked 7 rooms and spent quite a bit on your restaurant/hotel, you expect to be treated like humans and not cattle. 5) Hotel restaurant was mediocre. Pay double for poor quality. Avoid! Resort is right at sunrise beach. They will pick n send you for arrival/departure. We got the ground floor therefore its annoying when those on top walk as we can hear the squeeking of the floor boards. Bring insect repelllant as there are mosquitos. Some rooms are equipped with mosquitos net but ours don't. U can walk to Walking Street and it takes 10mins. This resort is quiet at night so its very relaxing. I think I don't like places full of noisy families with kids. Also some serious renovation is probably required. Feels a bit shabby and without a character. If you are looking for a place to chill out and disconnect, go somewhere else. Low water pressure. Far from Immigration. Limited choice for breakfast. Shower head was practically falling off from the wall, all rusty and even the toilet seat was not fitting well on the toilet bowl! This resort is in bad state of repair. Room was full of mosquitoes. Must sleep under the mosquito net, but the net is too small to cover the entire bed!!! The only saving grace was that the aircon works and was powerful enough to cool the room. Breakfast was mediocre at best. BUT Location was fabulous, in the nicest corner of Sunrise beach. Pool was a good size but the reef in front of the Resort was more than amazing. Good food, great big pool, nice clean rooms. It may be a bit run down, our power points didn't work but they came n fix it very fast. Pls don't ever book the standard rooms as it is far behind and noisy because of the generator. We changed to the groundofloor room near to the beach and it was perfect! The manager Mandy is really helpful n made our stay memorable. Would love to come back! Third visit to this lovely hotel, the room just 50 steps away from the beautiful beach. Upgraded facility this time with the brand new swimming pool. My favorite breakfast dish, the fish soup rice still that yummy as two years ago. Only problem still the water pressure for the shower. The location of the resort is nearby the Walking Street. The resort is facing the Andaman Sea which gives a very nice view. The white sandy beach is clean. However, they do not serve Halal food, thus we need to get our breakfast at the walking street. Had a pleasant stay in Anda Resort. Located at the Sunrise beach. Room was spacious but a bit noisy on walking in the room as it's made of wood. Room was really hot especially in the day but the aircond cooled it down in 10-15 minutes so not much to complain about. Bathroom was clean. They cooked nice food too, the green curry is to die for. The resort was right in front of the beach I'd say within 100 steps :D.